The cache is not located at the published coordinates but you will find a sign with some information to help work out the final location which is a short walk from the church. What time is traditional worship A:BC? What is the phone number 01252 DEFGHI? During the mid 1800’s soldiers were billeted under canvas in what was then called the North Camp of the Aldershot Garrison. Many of the soldiers who were Methodists had no place of worship. An appeal to the Methodist Churches throughout the nation raised enough funds to build not only one but two churches! 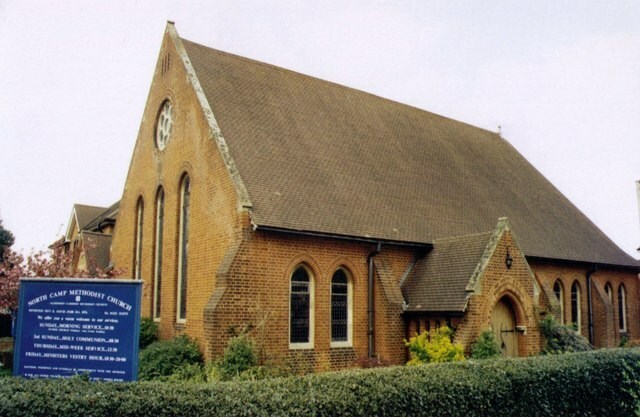 The first was built in Aldershot town centre and later, in 1878 our church in North Camp was completed. It has been the spiritual home for thousands of soldiers and civilians over the years.